SKU: N/A. Category: Advance. 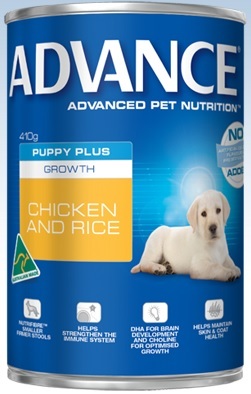 Tags: Advance, Plus Growth Chicken And Rice Cans, Puppy. A complete and balanced diet containing nutrients for growth and brain developement.